Korean Barbecue for a party of 4? Grab three of your buddies and have a meaty feast with the new Mega Meat BBQ Set from Soban K-Town Grill. 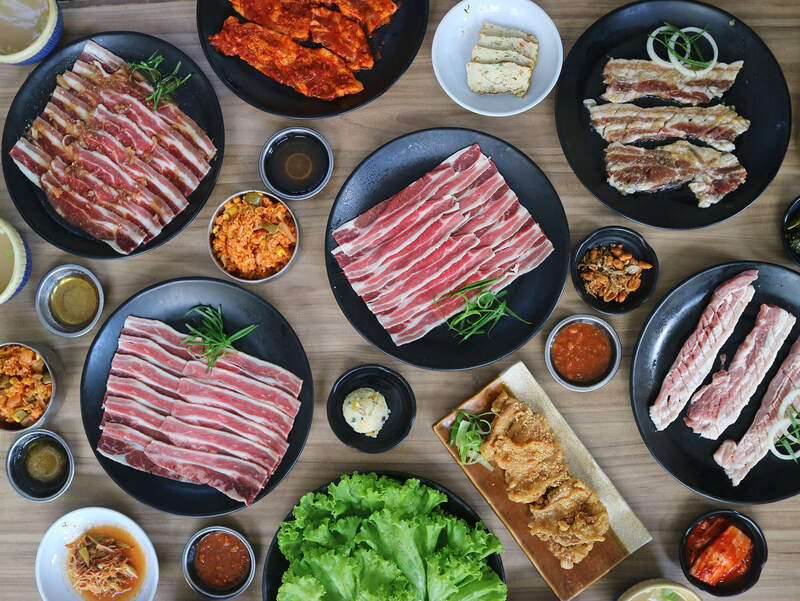 For only Php 2,000, Soban K-Town’s Mega Meat BBQ Set comes with a whopping 1,200 grams of Premium Meat. 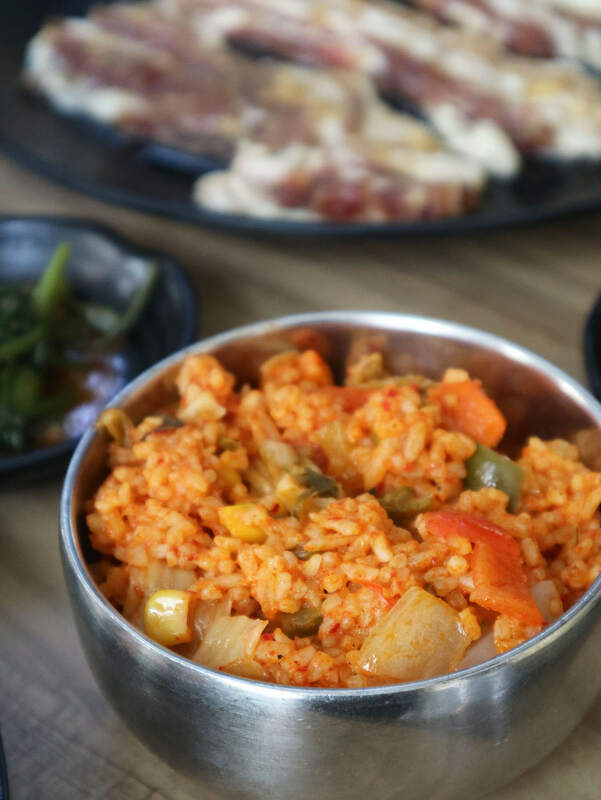 Plus you get unlimited rice, soup, and side dishes (selection of 6). Mega Meat BBQ Set: The Meats! Quick tip 1: According to their staff, best to cook your meats from light to heavy flavors. Out of the six meats, I enjoyed the Marinated Beef Belly and Chili Bean Pork Belly best. Love the savory flavor of the beef belly and the spicy twist of the pork belly. The fried chicken was a clear winner too! Crunchy outside and tender inside. Note: The Mega Meat BBQ Set is just for 4 persons max. So any additional pax ( must order either a Solo Set or A la Carte as well. Of course no Korean barbecue will be complete without the famous sides. 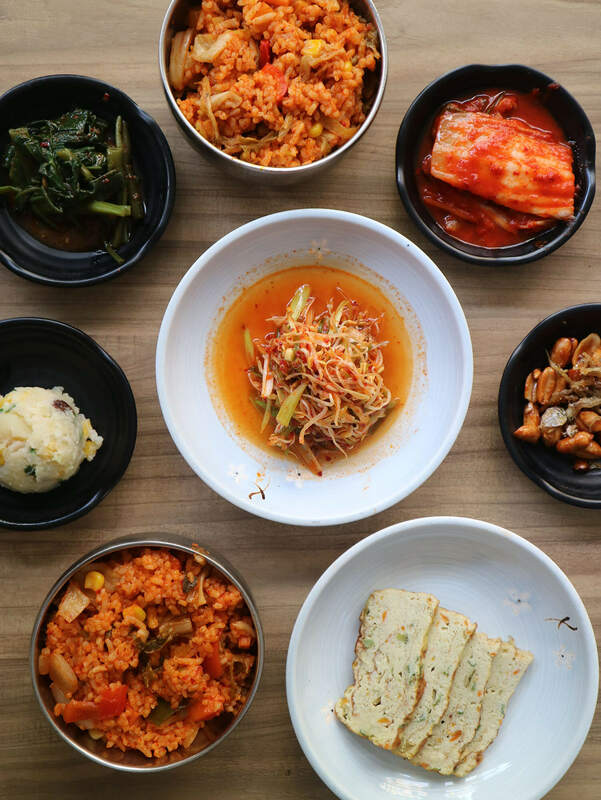 And for Soban K-Town’s Mega Meat BBQ Set, you get 6 side dishes, unlimited – for free! It includes Kimchi, Gyeranmari (Rolled Up Egg Omelette), Kangkong Doenjang, Gamja Sarada (Potato Salad), Sangchoo Geotjori (Lettuce with Vinaigrette) and Myeolchi Bokkeum (Stir-fried peanuts with anchovies). The Gyeranmari and the Myeolchi Bokkeum as they complimented my savory meal best. Drinks aren’t part of the Mega Meat BBQ set though. 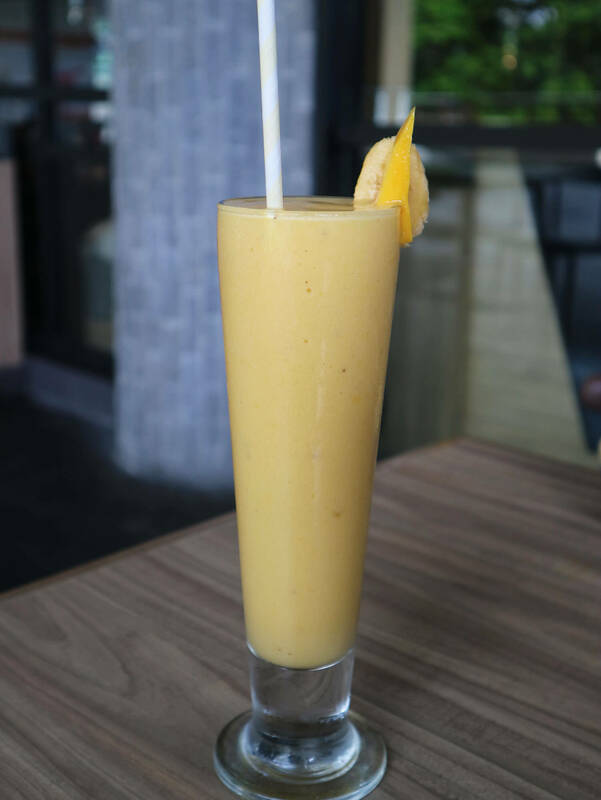 I had their Mango Banana shake and it was so refreshing for just Php 105.00 per glass! Wow! I love cooking my own food so I really enjoy Korean barbecues. But should you need some assistance cooking the Mega Meat BBQ Set, Soban K-Town’s staff are more than willing to help! I really applaud this exceptional service. Because based on experience, anyone would of course have the enthusiasm to grill at the start of the meal. But later on as the meats get cooked, you’d of course want to eat too, right? So yey, win-win situation for everyone! All in all, I think the Mega Meat BBQ Set is really a bang-for-the-buck deal. It’s delicious, satisfying, and generous in servings. 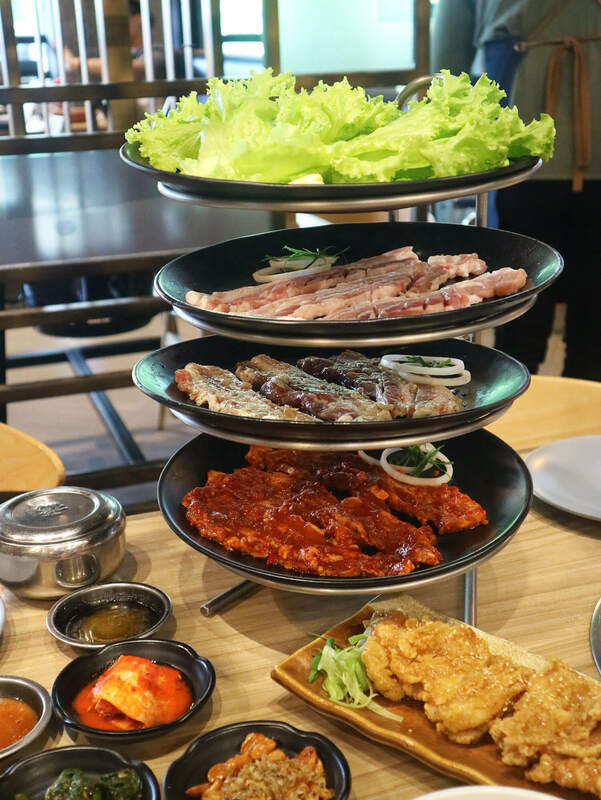 So the next time you have Korean barbecue in your mind, swing by any branch of Soban K-Town Grill and try their new Mega Meat BBQ Set. Meat you there! Like Soban K-Town Grill on Facebook for updates.